Sometimes water damage is heartbreakingly evident: a home covered in flood waters, a mudslide which spills wet earth into a property, or a hurricane that brings wind and heavy rain inside. Sometimes water damage is just an unhappy by-product of everyday life, such as when a washer overflows all over the floor or a dishwasher leaks into the kitchen. Other times, water comes into the house via a leaky roof or a pipe leak. Unfortunately, water damage is a common property damage occurrence. Whatever the circumstances, standing or flowing water indoors is a risky situation in terms of property cleanup and water damage restoration. It is important to act quickly and to make the right decisions to ensure that property can be returned to its pre-damage condition. Say you have a ceiling leak or a leaky pipe; you may first notice discoloration on the walls or ceiling. This may start out subtle at first, but start to grow larger as the water drip continues. Of course, the sooner you can catch water damage, the better. Not only will it mean that you have less damaged materials to replace, but it will also mean mold growth is less likely, which is a natural by-product of water damage. Other sources of water damage may be more subtle. Perhaps you have a poorly-ventilated shower area that creates moisture on the walls. Over time and given the right conditions, “mildew” or mold may start to grow. 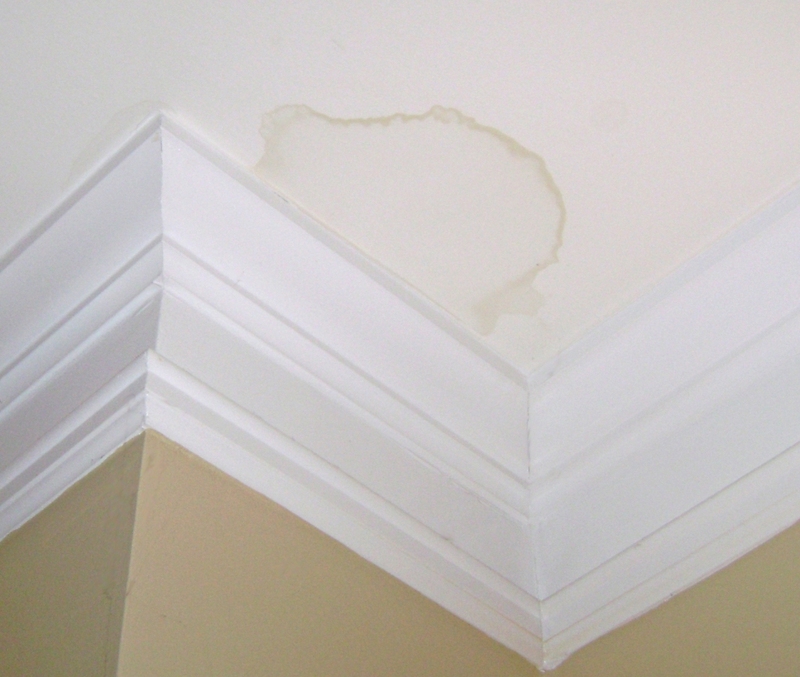 This type of water damage occurs just because a bathroom is not well-vented, but it poses just as serious of an issue in terms of long-term viability of the property and healthy living conditions. This is a fairly common situation for many people. During periods of cold weather, a bursting pipe can occur. Though this may be evident, it may also be hidden behind walls or under the floor and not noticeable until leaking occurs. It is always a good idea to be proactive in inspecting your property during times of adverse weather. Older plumbing in older properties may also be prone to leakage and should prompt occasional inspections. Be sure and inspect around doorways and windows or anything leading to the outdoors where water intrusion may occur. A property that is well-protected from water damage is likely to stand strong, safe, and provide clean living conditions for years to come. Whenever there are organic materials, such as carpet, drywall, insulation materials, wood, hardwood flooring, even clothing and food, mixed with dampness and the right temperatures, mold growth can begin. Since mold is known to effect health and well-being, thorough water damage cleanup is imperative. When water damage strikes, call a professional and certified cleanup service, such as Indoor-Restore Environmental Services at (866) 358-3838 (www.indoorrestore.com). You will be glad that you did. Indoor-Restore offers a number of services that are critical to property owners during the unfortunate circumstances related to water damage. First of all, their technicians can find and fix plumbing or other leaks so that the water will not continue to come into the property. They have the specialized equipment to locate and address hidden leaks, including state-of-the-art Infrared Thermal Rendering. In the event of widespread water damage, technicians can remove the excess water and begin the process of drying and dehumidification using large commercial-grade fans. If any personal items or furnishings have been water damaged, the company can clean and purify these, as well as remove or demolish any items or building materials that can’t be restored. Most importantly, they are fully certified by the Mold Inspection Consulting and Remediation Organization for complete mold control. Anti-bacterial treatments are available after water damage to inhibit future mold growth. In essence, Indoor-Restore finds problems, fixes problems, and prevents future problems that often occur after a period of water damage. It is truly a one-stop shop for professional water damage assistance.